I recently took the short drive to Tucson to help teach a few classes to community managers for their professional certification through Arizona Association of Community Managers (AACM). I was asked to help teach two courses involving legal aspects of Arizona community association law. Although our firm represents community associations throughout the state, and we frequently appear in courts in several different counties, the core base of our firm's clients are in the Phoenix metropolitan area - and Maricopa County. After all, we are community association lawyers. Over 65% of our state's population live in Maricopa County (at least as of our last, and now 10-year-old census report). After holding steady during the 1960s and 1970s, the population density in the Phoenix urbanized areas began to skyrocket in the 1980s through the present time. And ... it wasn't long before my latent bias for my home town marked me as the "outsider" to my Tucson friends and colleagues. I think it was just after my first apology for slipping into "Maricopa County" mode that I was called out ... "you are probably a Sun Devil fan too, huh?" A moment of truth, and a dilemma: Do I revert to some diplomatic response about being a fan of all "Arizona" sports? 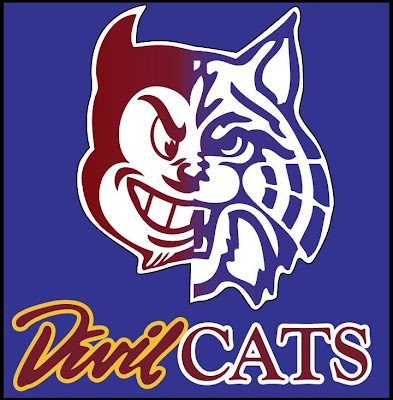 Should I talk about the success of UofA's Wildcats basketball program and even name a few of the Wildcat turned NBA professionals? The truth was then revealed: "Yes, I went to ASU for both undergrad and law school. 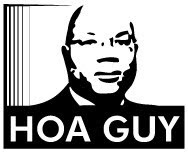 But my business partner, Augustus Shaw, went to UofA for both undergrad and law school." I think some of the reassuring head-nodding was more politeness than acceptance; but it deflected a bit from my status as "visitor." But, even back in my home base office in Phoenix, spirited debates are always ongoing. They tend to surface before the rivals meet for the "The Duel in the Desert" at the end of each football season (more recent historical advantage: ASU). They then picks up even more during basketball season (advantage: UofA - no debate). In fact, if there is any sport in season, a debate may spark. Beyond sports, the banter continues about where these respective universities' law schools fall in the national rankings published each year (advantage: UofA -- by just a little bit). UofA does deserve credit as Arizona's first University officially founded in 1885. Technically, ASU was also founded this same year, only under the name "Tempe Normal School for the Arizona Territory" (although the plaque on ASU's "Old Main" building says 1884). Regardless of our loyalties, the partners in the firm are proud that we both represent clients as "Arizona lawyers." Not only did we both attend and graduate from Arizona universities and law schools, Mr. Shaw and I are both natives of Arizona. Mr. Shaw was born and raised in Tempe, Arizona. I was born and raised in Mesa, Arizona. Each of us left our home state for a time living overseas. Mr. Shaw served in the U.S. Navy during the Gulf War. I lived in the Philippines for two years during that same time period. When we returned to pursue academics, we chose Arizona. Arizona is not just home for us - it has been home for our families for several generations. Whether driving through Phoenix, or surfing the web, you may have seen the Augustus H. Shaw Junior School, which is in the Phoenix Elementary School District. This school is named after Mr. Shaw's grandfather, who was Arizona's first African American Superintendent of Schools. Mr. Shaw continues in the footsteps of his grandfather's public service. Like Mr. Shaw, my family has also been in Arizona for generations. I am a 4th generation Arizona native through my "Lines" family. My great-grandfather, Milton Lines, was an Arizona lawmaker and served in the Arizona House of Representatives for 16 consecutive years. His son (my grandfather), Earl Lines, was an attorney and was elected to serve as the Safford County Treasurer for two terms before he was drafted as an infantryman to fight in WWII. After returning from the war, he continued his law practice and eventually served as a Court Commissioner in Maricopa County for 9 years. Although debates will spark in the office at times between our favorite Arizona sports teams or schools, our firm is proud to have deep roots in Arizona, including public service in various capacities. We will continue to serve Arizona clients and Arizona communities. Our spirited debates between UofA and ASU are simply natural tendencies. We relish in the rivalry, and savor the sweet upsets. But, after it is all said and done, we are both "Arizonans" and nobody is really counting a final tally. p.s. 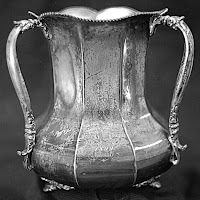 UofA does boast the all-time record of most wins between the two schools in football with a record of 45-36-1. This record dates back to the first time these opposing teams met in 1899, before ASU was even recognized as a University. Tempe Normal (ASU) won their first match up by a score of 7 - 6. 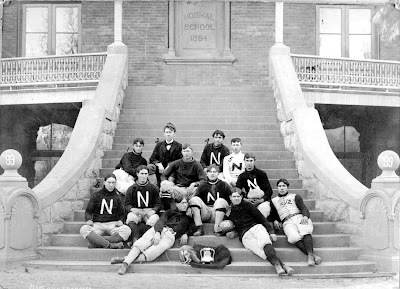 The photo at the top of this article shows the 1899 ASU football team holding the Arizona Territorial Championship trophy on the steps of "Old Main," which still stands on ASU's main campus in Tempe. From left to right, at the end of the second row, cradling his leather helmet, is Alma Davis -- who is also my great-grandfather.